If you have been observing the market from last two years, then you must have noticed the tremendous development of the current design and web development trends for providing an excellent user experience. WordPress continues to be the top choice for writers, brand owners, journalists, and bloggers who wish to have a unique homepage. 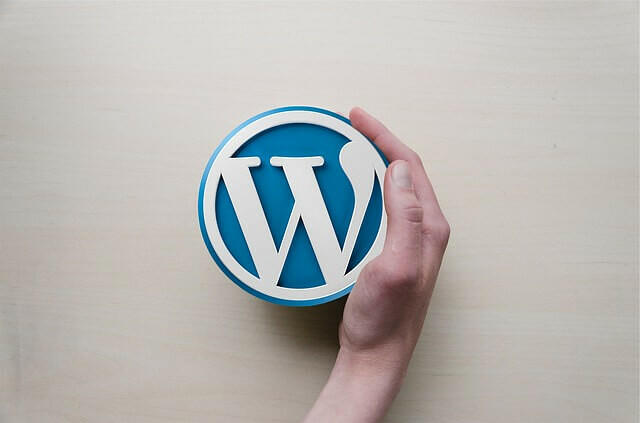 Over the last few years, the market of WordPress related plugins and themes are continuously growing. Image slider plugins are no exception. These days, it’s tough to find a site without noticing a full-page slider header, or any content blog that makes use of sliders for enhancing their latest content. Addition of sliders on a site seems to be in the trend these days. Sliders offer the site a modern appeal and make them look engaging. It gives you a wonderful opportunity to display an array of images, featured post and alluring content. Since its introduction, sliders have come a long way and are an exceptional option for any kind of site. In this article, we will discuss some of the top rated image slider plugins that are sure to meet your business needs. So, hold a hot cup of coffee and go through the list of top-rated image slider WordPress plugins. Smart Slider 3 is an outstanding WordPress plugin that designs sliders which were impossible before with free slider plugins. This plugin comes laced with all the vital features which you expect from any free slider plugin. It provides you the ultimate tool for creating YouTube slides, Vimeo and also loaded with simple to utilize slide editor with varied layers. In simpler terms, Smart Slider 3 offers you an experience of the next generation plugin. Can be easily integrated with WordPress. Comes laced with 9 smooth background animation. Modify the required detail that matters in style and typography. Mobile-friendly and 100 % responsive in nature. Various pre-built style to instantly start your work. Sangar Slider is among the most prominent slider plugins for WordPress. It comes with smooth animation, swipe support and touch that can be used by any novice person. Packed with essential features and functionalities, you can simply design customized template. The interesting part of this innovative slider is that it has splendid layer slider which has the ability to include HTML contents like images or texts in layers. You also get the benefit of designing your own templates utilizing its immense range of API system without the need of coding. With the help of layer editor, you can seamlessly make your layer content utilizing drag and drop. All the elements in the layer can be edited along with the content transition. Moreover, there are various outstanding animations. The animations are quick and fast. Support an array of slide content. Avartan is an extraordinary image slider that helps you deliver the message to your site visitors in an innovative way by utilizing text, images and video elements. It fully supports CSS3, YouTube, HTML5, drag & drop builder, element animations and many others. No matter you do not possess any expertise in JS and CSS, you can easily create outstanding sliders in minutes. You can seamlessly integrate Avartan anywhere in a website with its slider shortcode, PHP function and widget. More than 5 customizable pre-loader slider. Third party integration video support such as Vimeo or YouTube. Numerous text, videos and images into one slide. Option of previewing images for videos. Simple to set up, Cyclone Slider 2 is a prominent plugin that showcases clean responsive image slider with some options like slider dimensions, delays and waits on hover. All you need to do is to drag and drop for adding and re-ordering your slides. Moreover, this plugin is developed in such a way that it comes with RTL support and also provides you with the benefit of using qTranslate quick tags for slide descriptions and titles. Laced with 4 core templates. Completely supports 5 varied slide types like Vimeo, Image, custom HTML, YouTube and testimonial slides. RTL support and translation ready. Master Slider is basically a free image and video slider WordPress plugin that is fully responsive and SEO-friendly in nature. All you require to do is to just drag and drop your selected images in place or rearrange them. After that, choose from the given settings, set your crop, dimensions and you are done. If you require some assistance, then there are several sample sliders present that feature varied layouts such as fullwidth sliders or sliders with text. Moreover, it also has touch navigation with swipe gesture which you would have never experienced before. With the help of their 8 Starter Samples, it has never been this easier to create slideshows. Fully optimized for touch devices and varied screen sizes. Modern export and import tool. Responsive slider plugin designed by MotoPress is developed with the resolution for shaping amazing slides with outstanding visual effects. It is loaded with exceptional responsive layout, drag and drop interface, and swipe navigation that assists you to design slides without altering the code. You can seamlessly create SEO-optimized slideshows in no time and enjoy them from varied screen size, computer device or mobile. There are mainly three types of slider included in this plugin namely WooCommerce slider, post slider and custom slider. Benefit of exporting and importing slider content. Option of designing numerous sliders. Facility of adding video backgrounds. Ultimate Slider is an outstanding slider plugin which enables you to add a smooth, responsive and modern slider to your desired page on your site with the help of simple slider shortcode. In order to distinguish your slider from others, it also comes with varied slide transition effects. Moreover, there is a custom CSS that enables you to further alter the slider styling with the aim to get what you require. Include YouTube videos to your slider. Design infinite slides for displaying in your slider. Drag and drop slides for rearranging slider order. Content sliders are undoubtedly some of the most popular components of good design. Whenever any site makes use of a slider, it assists the reader to instantly navigate through the vital content. So, it is vital to choose such slider plugin which is fully compatible with design and theme. Here, slider rich web WordPress plugin comes handy. This plugin enables you to customize all the settings like fonts, colours and sizes that are corresponding to standards of the slider. This outstanding slider plugin comes laced with all the vital features that are sure to meet your requirements. Being 100% responsive, this slider will give an awesome experience on distinct gadgets that are used for viewing it. With the assistance of this plugin interface, you can seamlessly tailor your slider to meet your accurate needs. Fully compatible with several fallback features for old browsers. Infinite number of images for adding. Option of adding multifarious instances on the same page. Not all the sliders are designed for strict content, these days you can customize sliders for incorporating rich media. This Slider Video plugin allows you to utilize custom YouTube videos and display them with the help of slider widget. The plugin is designed in a way that it is fully responsive in nature allowing the users to use the plugin on distinct devices. You can easily earn the attention of wide customer base and astonish them with the slideshow that represents your video in an innovative way. Benefit of including a deep link to any specific slide. With the help of slider, you can seamlessly add video descriptions and title. Facility of designing your own slide transitions. Option of using varied slider for distinct pages. RoyalSlider is one such plugin that provides convenience, constancy, performance and offers the ultimate experience for user with the distinct type of devices. Though it is not equipped with numerous transition effects, it works smoothly and fasts similar to the present day technology. The script modular architecture enables you to remove the parts that you do not require from the main JS file to enrich it more. Permalinks which enables to associate to distinct slide from URL. Permits multifarious sliders per page with varied skins. 4 exceptional skins which can seamlessly be edited with the help of CSS. Smart autoplay that pauses on hover or halt at foremost user action. Slider files can be added only to those posts where the slider is being used. To sum up, the plugins reign on top in WordPress repository and also own landing pages for strong support and astonishing features. So, choose the one which can be easily integrated to your current website without facing any issue. But, just keep in mind that these slider plugins come laced with customization features that simply mean the design can be easily altered to represent the image or colour schemes being utilized. We really hope that the above information turns out to be beneficial for you and helps you take a wise decision. In case, you feel we have missed out any important plugin, then feel free to share your views.